Dr. Hans-Henning Muendel, left, presented with the Alberta Pulse Industry Innovator Award by APG Chair D’Arcy Hilgartner. 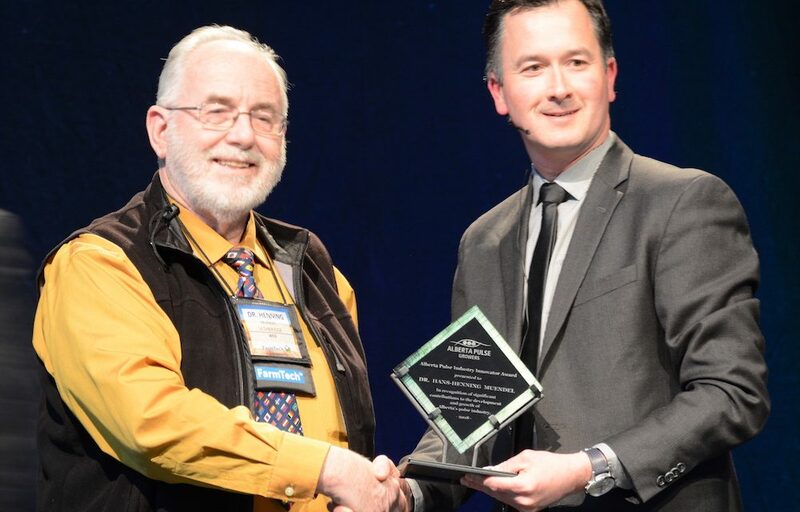 The Alberta Pulse Growers (APG) presented the fourth annual Alberta Pulse Industry Innovator Award to Dr. Hans-Henning Muendel, who was instrumental in developing numerous bean cultivars for Alberta growers. In 1996, there weren’t any dry bean cultivars being grown in Western Canada that had been bred in this region. Over the next 11 years, as the senior research scientist at the Agriculture and Agri-Food Canada Research Centre in Lethbridge, Muendel and his team developed 14 dry bean cultivars in seven bean classes, and co-developed one other new bean cultivar. Muendel’s bean breeding program concentrated on producing early maturing, upright bean cultivars that are well-suited to the short growing seasons of southern Alberta, Saskatchewan and Manitoba. Many of the dry bean cultivars from Muendel’s program also had improved resistance to white mould while maintaining high yield and quality. 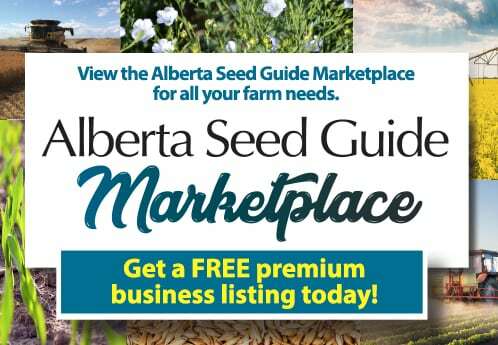 Muendel also served as an ex-officio director for Alberta Pulse Growers. Zone 1 Director Rodney Volk had high praise for Muendel’s contributions to the pulse industry that continue to benefit dry bean growers like himself.